I've been reaching for the NYX Cool Neutrals*, Urban Decay Naked Heat* and Original Naked Palette* a lot recently as I've been getting into eyeshadow palettes much more lately. I've even been contemplating treating myself to the Anastasia Beverly Hills Modern Renaissance Palette. Glossier are coming to the UK today and I'm beyond excited, so of course I've put most of their products I already own into my makeup bag including a new addition, the Birthday Balm Dot Com. Although I was skeptical this was just going to be overpriced vaseline, I actually find it makes my lips look a little fuller thanks to the shimmer particles and the thick formula is nourishing too. My base has pretty much stayed the same over the past few months, the Kat Von D Lock It Concealer and Too Faced Born This Way Foundation being the duo that I've been smitten with. It creates a flawless base that is undetectable and easy to wear on a daily basis. I've been trying a lot of different bronzers at the moment, but it's the Becca Sunlit Capri Coast Bronzer* which has currently got top space in my makeup bag. It's super natural and looks great paired with my Fenty Beauty Amber Match Stix too. It's bronzes up the skin nicely and is the perfect hue for my skin tone. Talking of Fenty Beauty, the Match Stix Trio and Killawatt Duo Highlighter are new additions to my makeup bag and one's that have been welcomed with open arms. The latter is perfect for creating a striking glow, whereas the Match Stix, especially in Amber as I previously mentioned, is great at creating chiselled cheekbones. 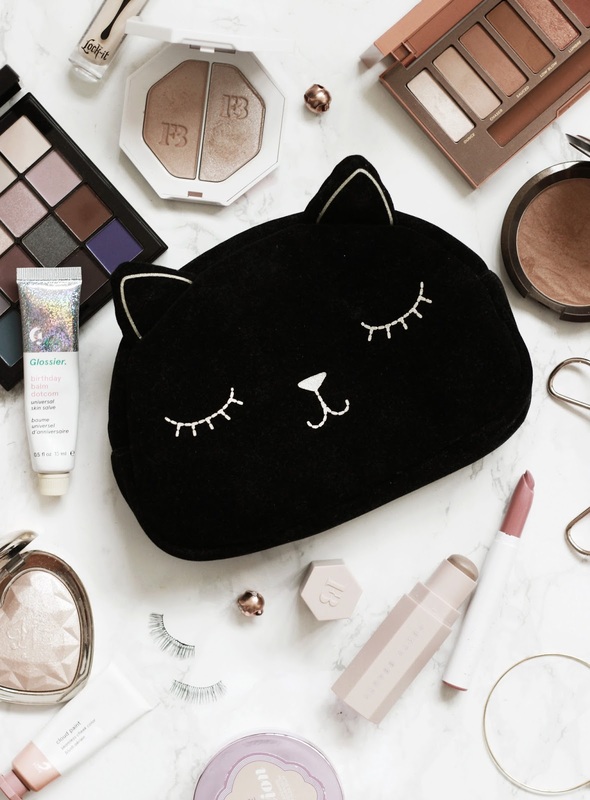 What have you got in your October makeup bag?